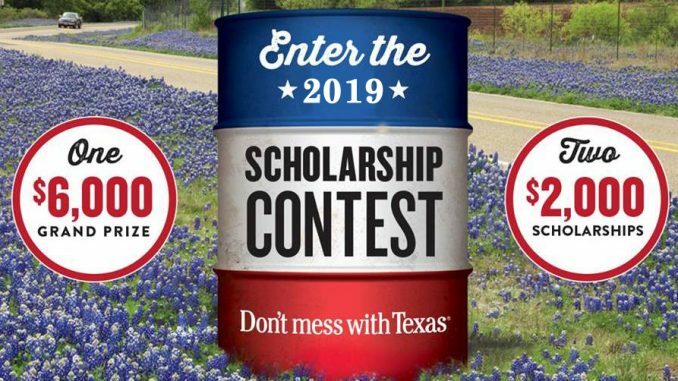 The application process for the “2019 Don’t mess with Texas Scholarship” contest is now underway for any Texas high school senior planning to attend an accredited Texas college or university in the coming year. The competition will award one $6,000 scholarship and two $2,000 scholarships in May 2019. The scholarships recognize students taking an active role in preventing litter in their schools and communities.